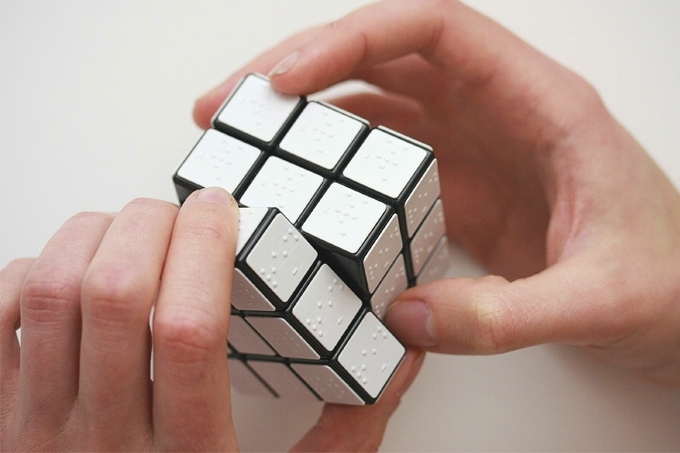 The blind aren’t able to solve a regular Rubik’s Cube, but this designer wants to change that. Konstantin Datz has embossed on the six faces of a Rubik’s Cube six Braille words: red, blue, green, yellow, white and pink. So instead ofseeing the colors, the blind can ‘feel’ them. 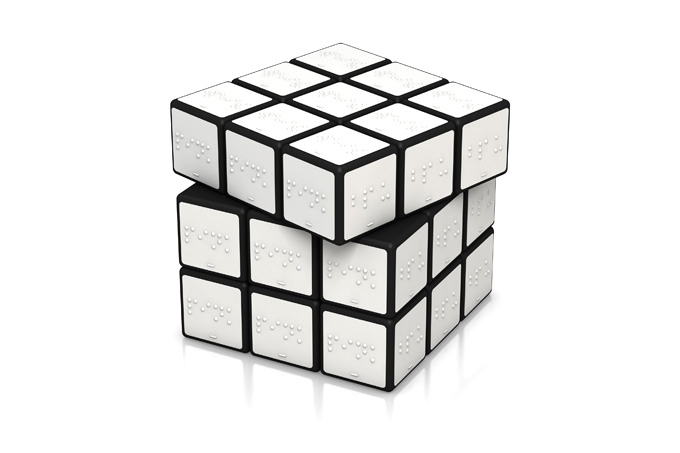 Alternatively, the cube was also designed as a means for those not blind to experience a life sightless, Datz wrote on his portfolio website.